'Arrow' and 'Supergirl' feel revitalized with their newest season premieres. 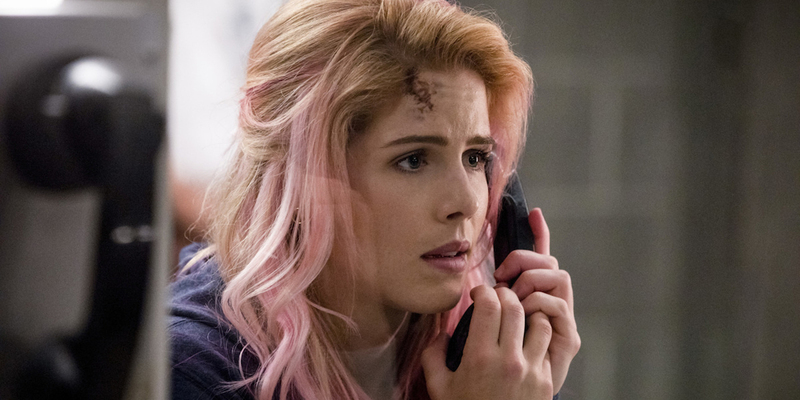 Arrow and Supergirl have returned and while it’s easy to hold the misfortune (and terrible writing) of the last few seasons against them, it would be a shame to miss out on two fantastic shows. Arrow and Supergirl, now airing seasons 7 and 4 respectively, have premiered with greater potential than we’ve seen from either show over their last few seasons. Free from the tyranny of the terrible executive producers and co-showrunners that have overseen the shows over the last few years, most notably Andrew Kreisberg and Marc Guggenheim, both shows delivered premiere episodes that felt fresh, invigorated, and showed a clear love for the featured heroes. This has been missing in the Arrow-verse for quite some time, but particularly in these two series. The stories introduced (or further developed) have a new vision; even though they’re supposed to be incredibly crucial and dramatic, they’re also quite fun, but isn’t that what a comic book series should do? The stories of the Green Arrow and Supergirl shouldn’t be a chore to watch; these are two heroes willing to do whatever they can to help with the lives of those they love and the citizens of their respective city. As the Arrow and Supergirl season premieres showed, there’s a lot to be done with Oliver Queen and Kara Danvers, even if we’re several years into their journeys now. Is the jail story overdone? Yes. 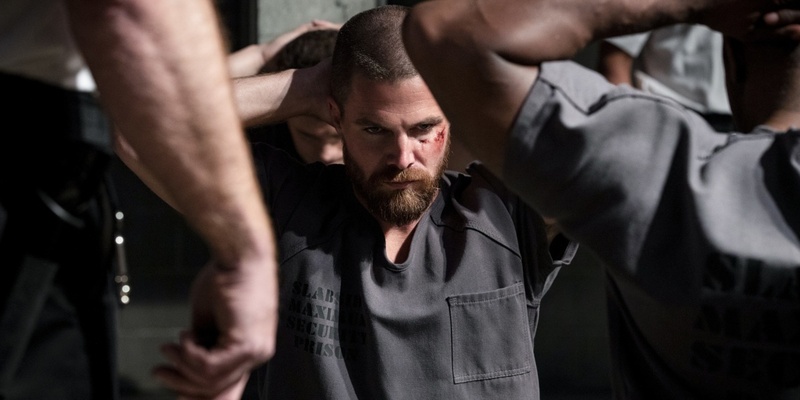 Should Arrow have avoided putting Oliver Queen in jail? No. Personally, Oliver Queen should have been outed as the Green Arrow and thrown in jail much sooner into the series. It’s amazing he kept his “secret” for as long as he did; however, given his importance in Star City, the people needed to know that someone like Oliver Queen was risking his life to fight for them. Now that the city knows who he is, this will lead to interesting, unique stories the series has yet to explore after six seasons. Even though there’s a new Green Arrow roaming the streets with a new list of names (thank goodness for this season 1 parallel), there’s still going to be a stigma attached to Oliver when he escapes prison. Likewise, putting on his hood isn’t going to come as easily as before. Dinah stood out to me in the season premiere. While I’m not and may never be a fan of Dinah as the Black Canary, she’s really grown into her own over her short run. Now the Star City Police Captain, Dinah has the ability to show who she really is, and it’ll be interesting to see what she’s able to bring when not being written like a sidekick. Rene, too, shows potential for drastic growth. Gone are the “newbies” who were consistently diminished to fit their title. Rene is a strong, diverse man with a unique view on the world. He sees a side of people that most do not. It’s beyond clear Arrow is under new leadership, and it begs the question: where was this kind of enthusiasm for the show over the last two years? Both the writing and performances feel invigorated by the changes behind-the-scenes. The actors clearly enjoy the work they’re being given now, which probably has to do with the major changes on-screen as well. Every character has a new role, which will hopefully continue to grow from here and not be retconned and return to the same pattern of the last seasons. Most exciting are Dinah and Laurel as Police Captain and District Attorney, but Oliver’s time in prison is really changing things up. Also, Felicity being out of witness protection might finally allow for her to be her own character, flaws and all. Additionally, the introduction of flash forward scenes in the episode creates a new mystery that will certainly reflect the best of Oliver’s Lian Yu flashbacks. How did Roy Harper, of all people, end up on Lian Yu (at least) 20 years into the future? Why is William looking into his father’s past? Where are the other characters we love in the future? There are so many questions, which kind of brings back the mystery of Arrow again after all of these years. 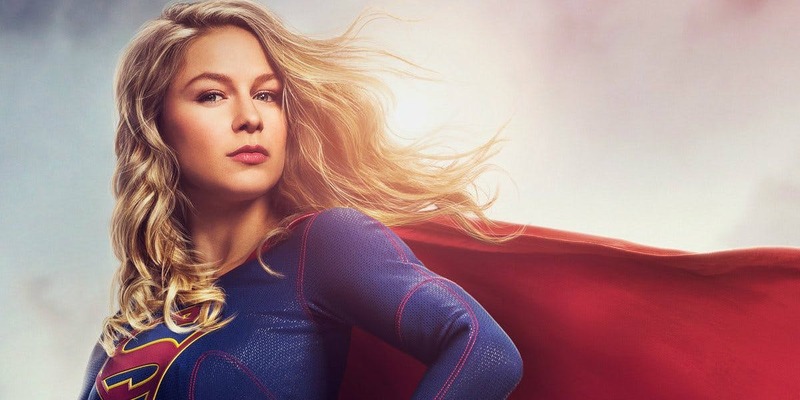 Supergirl is also (seemingly) returning to its roots for season 4. After two seasons that have been criticized by fans for pushing the women to the background to prop up the men of the show, we see four women in positions of power as series regulars, with the focus they’ve long deserved. Without Andrew Kreisberg’s influence, the writing and plot have improved, even just slightly, and the characters seem more like themselves than they have in a while. Kara is finally embracing her life as Kara Danvers alongside being Supergirl, so we’re going to see much more of how Kara fares at work. Kara doesn’t have to compete between her two identities anymore and can just be, which is all we’ve wanted since this unnecessary plot device was introduced in season 2. Also, she’s been “promoted” to being a lead reporter and is helping mentor the newest of the crop, most notably Nia Nal, TV’s first transgender superhero. 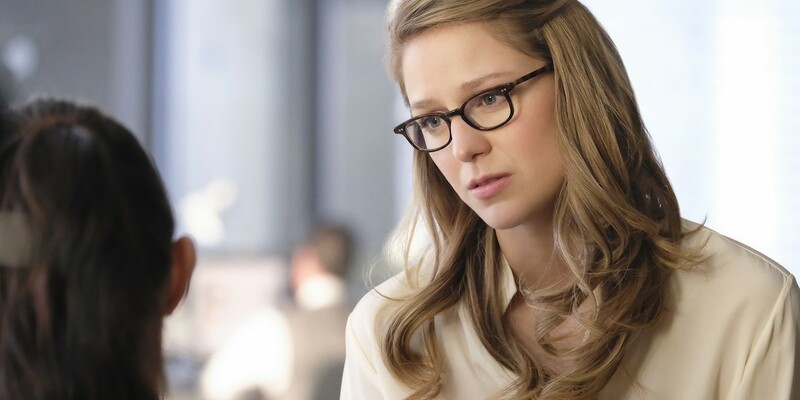 Nia is Cat Grant’s recommendation to join the CatCo reporting staff and while we’ve only just met her, she has a lot of potential solely as a journalist for multitudes of stories to be told about Kara and Nia in the field. Alex, meanwhile, has the job she was always meant to: Director of the DEO. Without J’onn, things are certainly going to be changing at the DEO, specifically how they deal with aliens. Alex has a much different perspective than J’onn and Kara do about their fellow aliens, so it’ll be fascinating to see how she deals with being in charge of the ultimate decisions. Thankfully, the unnecessary baby story wasn’t brought up yet, so my hopes are that the writers have put this on the back burner for now and are focusing on further developing Alex as a working woman trying to date. That’s all she needs right now. Lena, on the other hand, is headed down a concerning path. She’s actually embracing more of the darker, “villainous” traits inside of her, but doesn’t seem to be headed to being a Big Bad or anything of the sort. 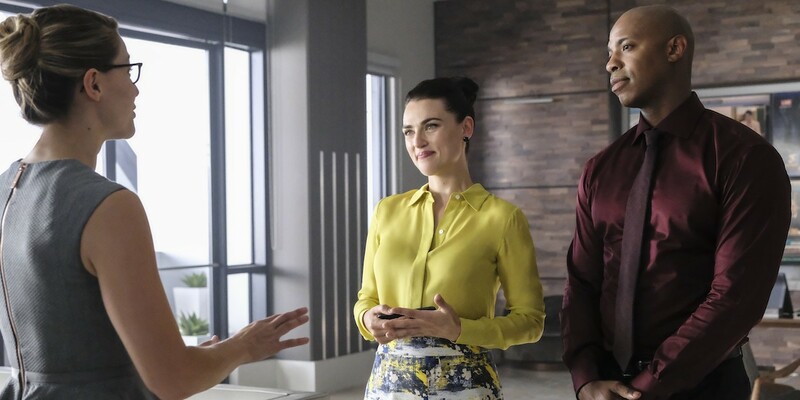 Betraying James and her mother (rightfully so or otherwise), lying to Supergirl and therefore Kara, and conducting an experiment on the substance she retained from Argo City that helped stop the Worldkillers, there’s not much Lena isn’t willing to do to make things work at this point. That said, Katie McGrath is great at playing anything and showcasing the multiple layers of Lena, so the inner battle should be just as fun as the outer one. Plus, not all of the characters on the show have to be considered (super)heroes… anti-heroes can be pretty fun, too. And, with Lena’s history of saving them and then doing something nefarious occasionally, she could easily fall into this category on her current path. What the series was always so good at pointing out is the notion that powers aren’t necessary to be a hero and to do the right thing. Everyone has it inside of them, and Kara has counted on this part of National City’s residents multiple times. 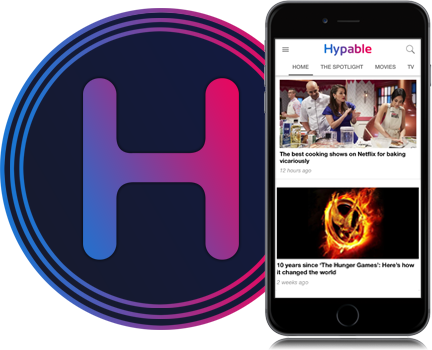 There’s still some work to do, of course; some of the women on the show should be of various racial backgrounds, which the series is seriously failing at, and the stories need a bit more fine-tuning, but all in all, the season is off to a wonderful start. It’s exciting to be excited about these shows once again. And it’s still very early into the TV season, but Arrow and Supergirl both have 22 episodes this year instead of 23, so there’s one less episode of filler, and the behind-the-scenes changes are clearly working well. Arrow and Supergirl have proven deserving of fresh start, so won’t you tune in?